Darin Diner (z"l) served as the Executive Director of Hillel of Broward and Palm Beach from 2005 until 2008. Darin, a charismatic leader whose vision and expertise forever changed the course of Hillel, was adored by students, the many young professionals whom he mentored as well as community members and parents. His mark on Hillel of Broward and Palm Beach continues to be felt today. He oversaw the opening of the new facility on the campus of Florida Atlantic University in Boca Raton and transformed it in to the "hub" for Jewish activity on campus that it remains until this day. Darin's parents, Helene and Manny Diner, lovingly established the Darin Diner fund in Darin's memory. 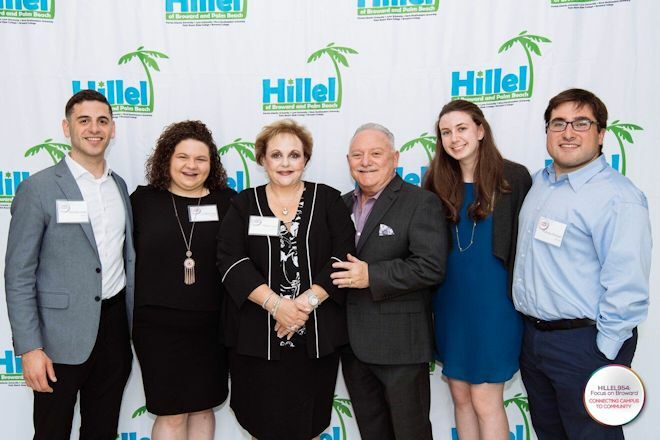 Each year, one outstanding Hillel of Broward and Palm Beach student leader receives this prestigious award which provides funding to be used for travel to Israel and/or an immersive Jewish experience. Each recipient personifies the values that Darin instilled in students during his tenure including leadership, love of Israel, ability to plan and implement successful programs, and earning respect from peers and staff. Darin's legacy lives on through these students. Darin's father, Manny, continues to honor Darin's memory by serving on the Hillel of Broward and Palm Beach Board of Directors.